AVONDALE, Ariz. (Nov. 12, 2015) – Chris Eggleston captured the 2015 NASCAR K&N Pro Series West championship in the Bill McAnally Racing No. 99 NAPA Filters/H20 Fire Protection Toyota with a 10th-place finish in the Casino Arizona 100 at Phoenix International Raceway on Thursday. 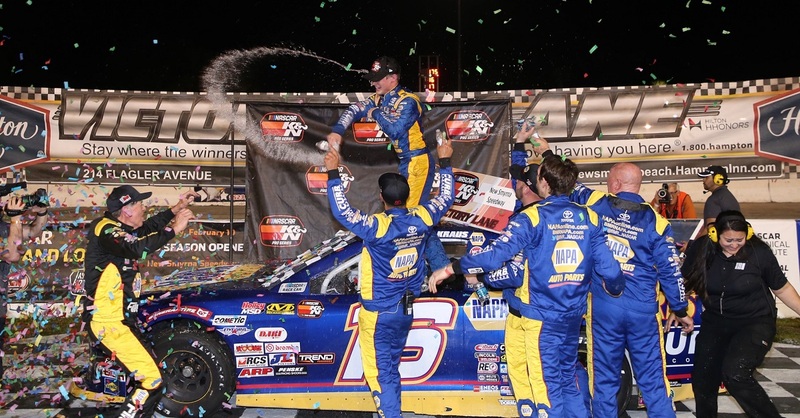 Car owner Bill McAnally had plenty to celebrate at PIR, as 15-year-old Todd Gilliland won the race in making his series debut in his No. 54 Frontline Enterprises Toyota, while competing under the BMR banner. He became the youngest winner in the history of the series. In addition, Brandon McReynolds drove BMR’s No. 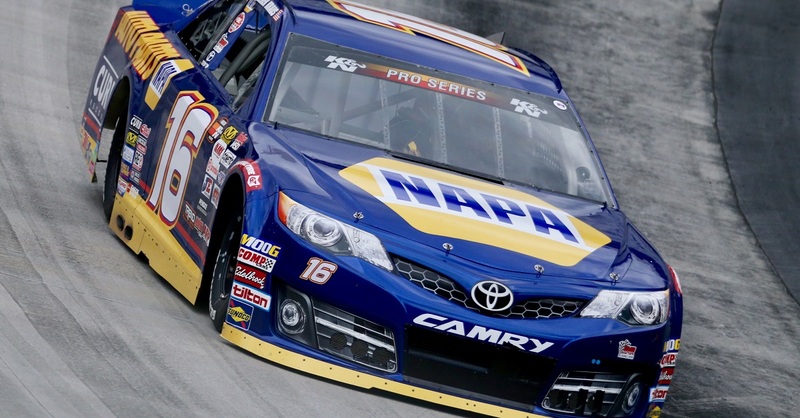 16 NAPA AUTO PARTS Toyota to a third-place finish in the season finale at the 1-mile track. 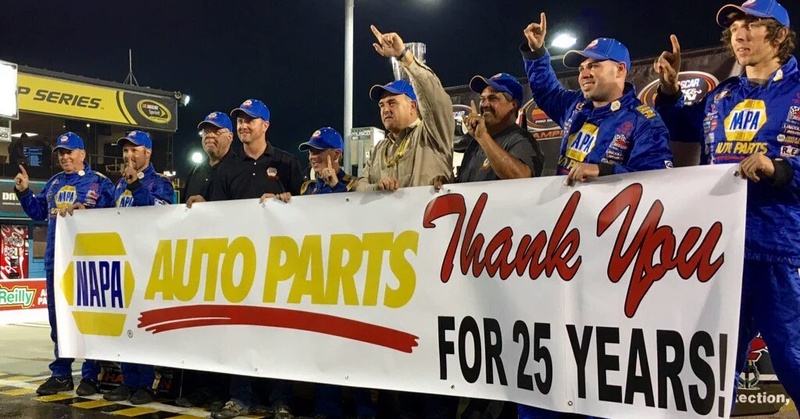 The championship comes in a special season in which BMR celebrated its 25th anniversary with NAPA AUTO PARTS as a sponsor. 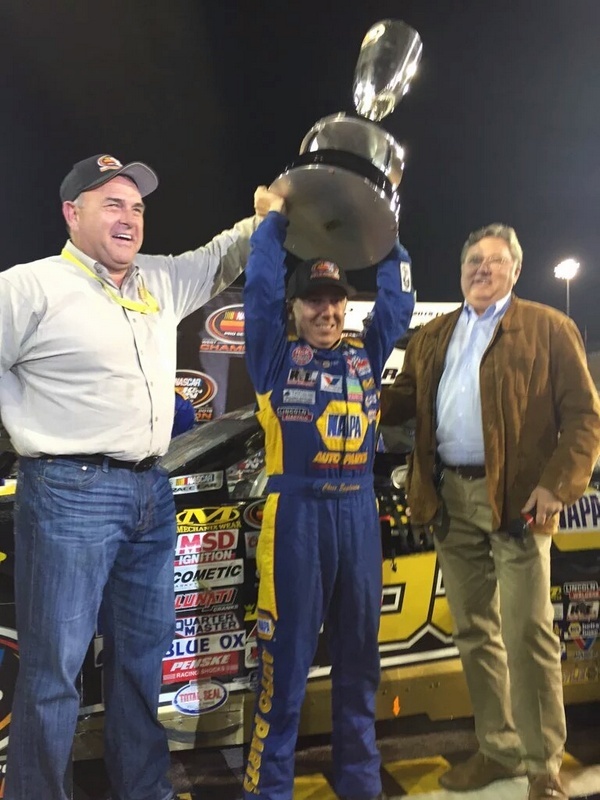 It marks a record tying sixth series championship for BMR – which won the title in 1999, 2000, 2001, 2008, and 2010. Eggleston of Erie, Colorado, scored the title in his first full season in the series. He came into the final race with a slim four-point lead in the standings. His BMR team quickly bounced back after losing an engine in practice earlier in the day, and got the car back on track before the session ended. “A huge thanks goes to Paul Kortman with NAPA Filters for believing in me and giving me this opportunity, along with NAPA Belts & Hoses, Toyota, NGK Spark Plugs, and Valvoline Oil. And thank you to Bill McAnally for giving me this shot and this opportunity. Eggleston started 15th and quickly worked his way just inside the top 10, where he ran most of the race. He wrapped up his season with two wins, nine top-five and 11 top-10 finishes in 13 starts. Gilliland, meanwhile, captured the spotlight by taking the win in his first series race. After qualifying ninth, he steadily worked his way forward – moving to second just before the midway point of the race. Although he initially slipped back on the restart, the third-generation driver from Sherrils Ford, North Carolina, charged back to second. 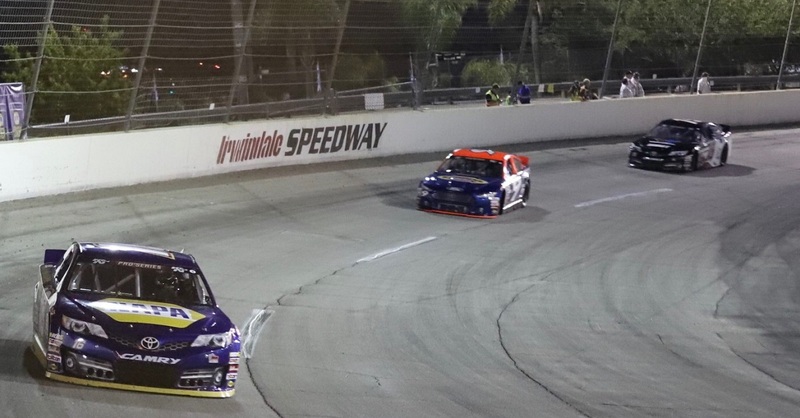 When the race leader encountered trouble late in the event, Gilliland inherited the lead and then held off all challengers in a green-white-checkered finish. Gilliland’s win comes in a series where his family name is well known. His father won the rookie title in the series in 2004, and his grandfather won the 1997 championship in the series, when it was known as the NASCAR Winston West Series. David Gilliland scored one of his four career NASCAR K&N Pro Series West wins at PIR in 2005, 10 years before his son took the victory. 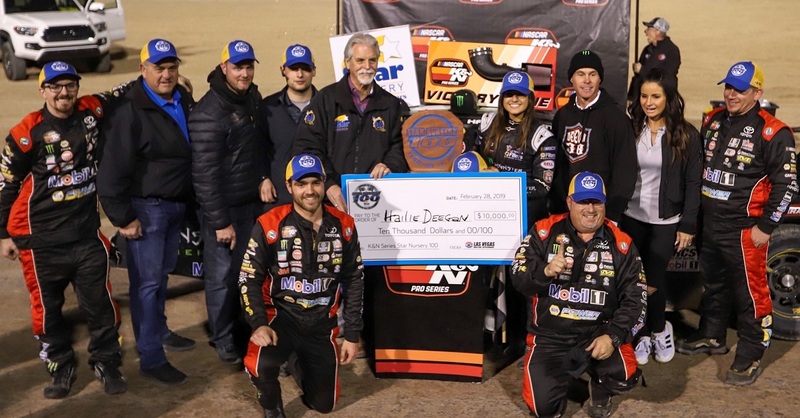 Thursday’s race marked the fifth series win at Phoenix for BMR, which went to Victory Lane there with Austin Cameron in 2002, with Eric Holmes in 2010, with Cole Custer at the beginning of 2014, and with Nick Drake at the end of 2014. For McReynolds, he ends on a high note after an up-and-down season. The 24-year-old from Mooresville, North Carolina, concluded his year with two wins, five top-five and eight top-10 finishes. His third-place finish gives him two top-five and four top-10 series finishes at PIR. The Casino Arizona 100 will be televised on NBCSN on Nov. 19 at 7 p.m. ET. It was the 35th stand-alone K&N West race at PIR. What's the Best Oil Filter for Your Car?